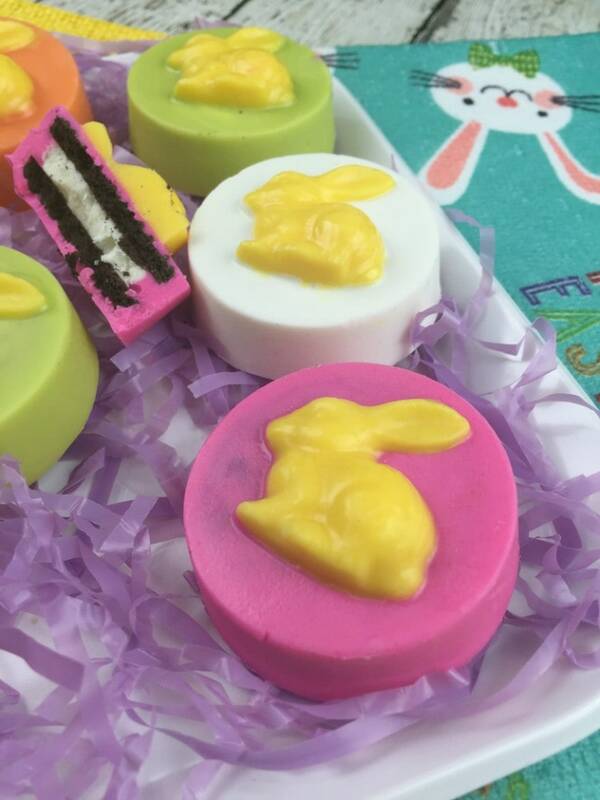 Looking for a fun Easter treat to offer up for the kids? This one might look like it’s a bit of work, but in the end it’s really all about melting some colored chocolate. 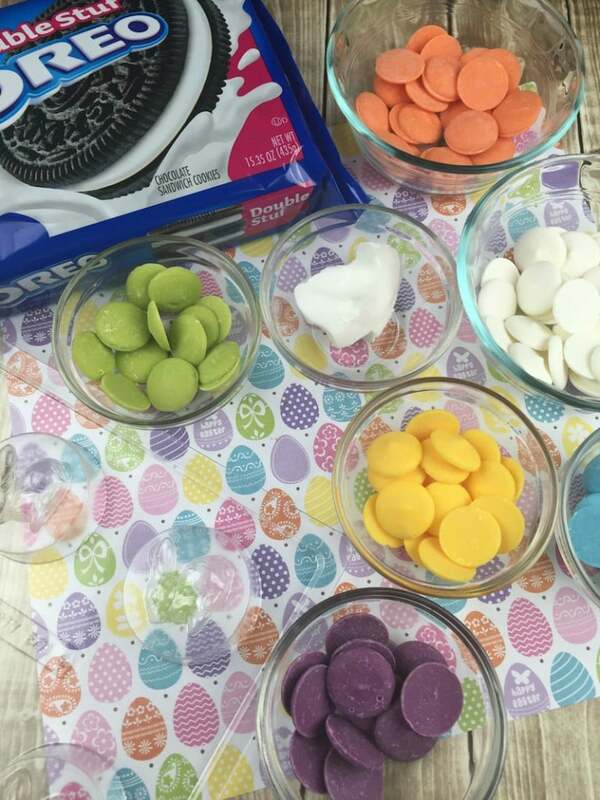 This recipe will make 1 dozen Easter Oreos. That’s good enough for a small party, right? 1. In a small microwave bowl, microwave 1T shortening. 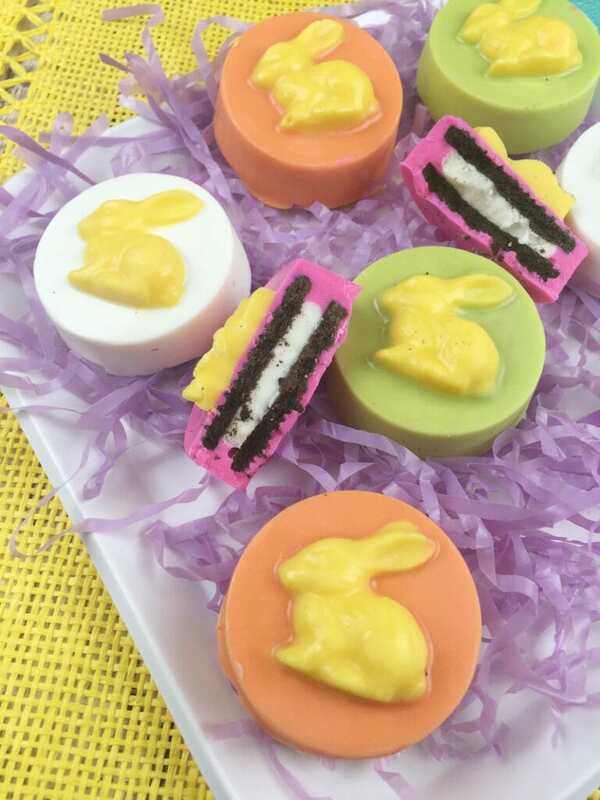 Add 1/3 cup yellow chocolate melts. Stir until completely melted. 2. 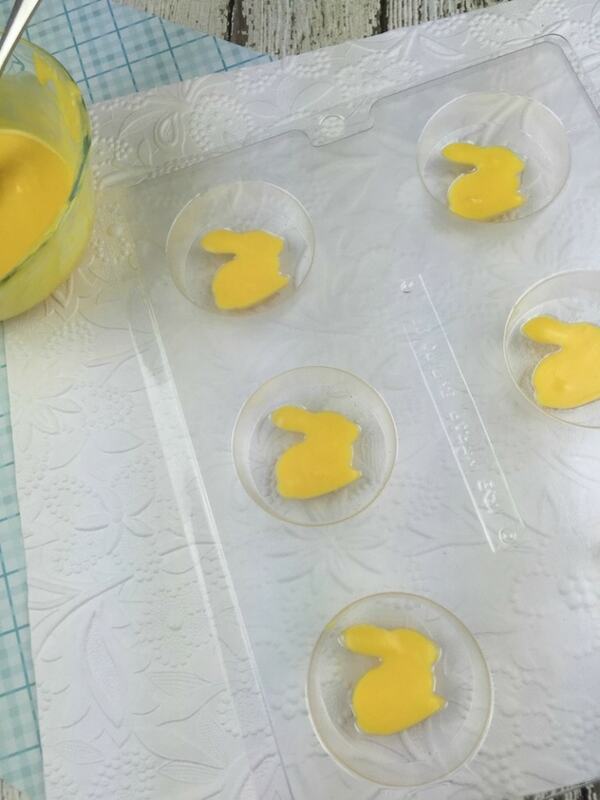 With a small spoon (I used a teaspoon) fill up the bunny part of each mold with the melted yellow chocolate. 3. In a small microwave bowl, microwave 1 T shortening. Add 1/3 cup of pink chocolate melts. Stir until completely melted. 4. 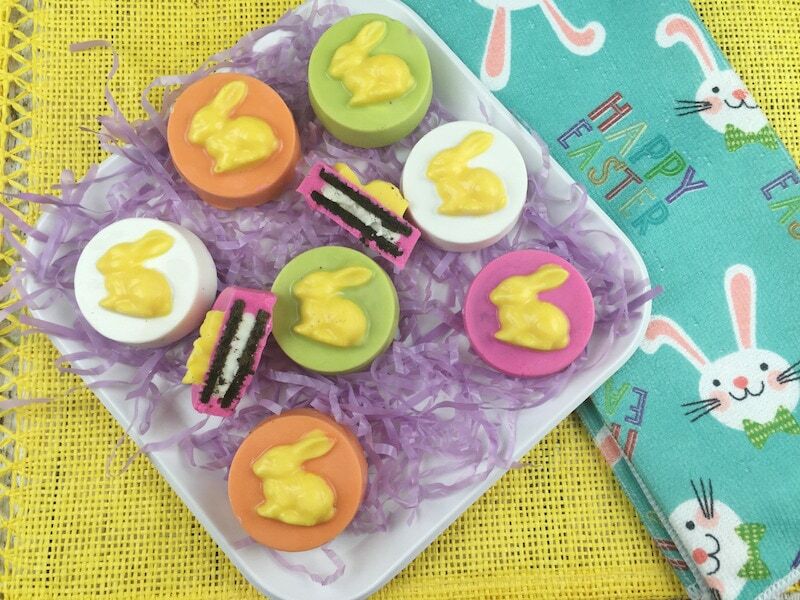 Pour about 2 T of the melted pink chocolate into 2 molds, covering the yellow bunny completely. 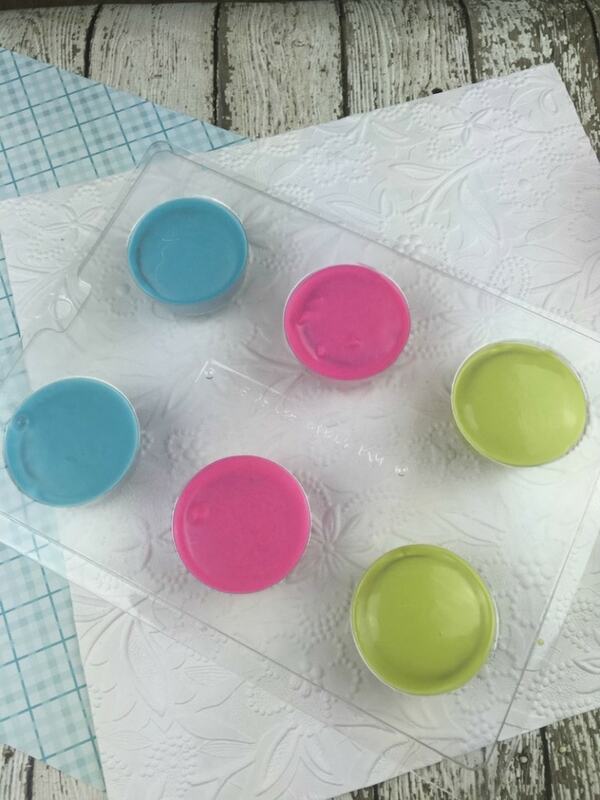 (There will be 2 cookie molds of each color). 5. 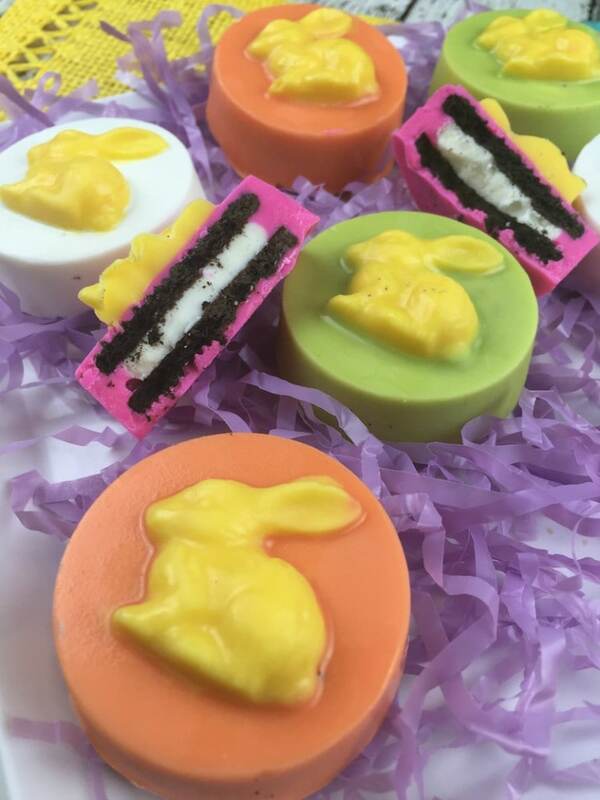 Drop an Oreo cookie into both molds. 6. 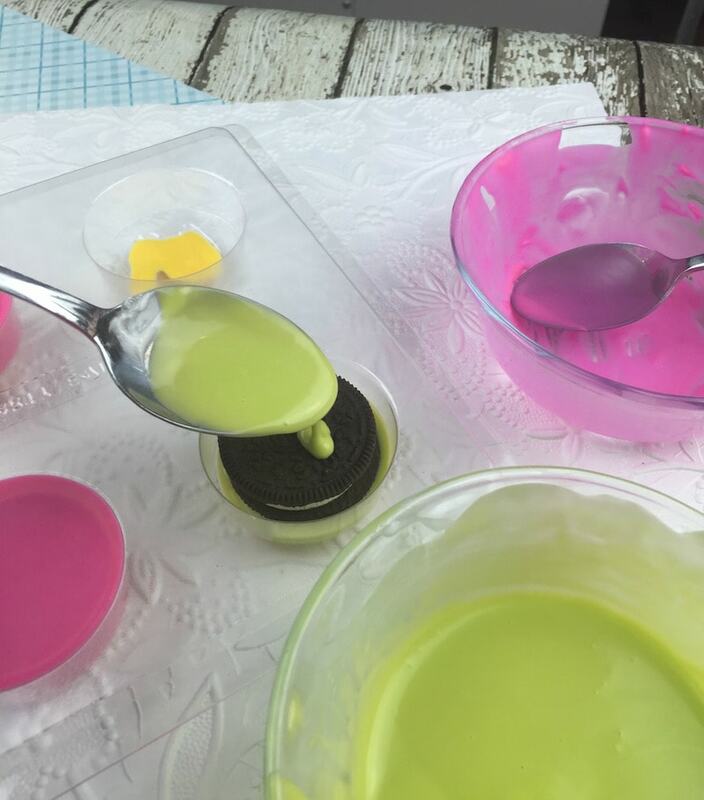 Cover up the Oreos with the remaining pink chocolate and fill the mold up to the top. 7. 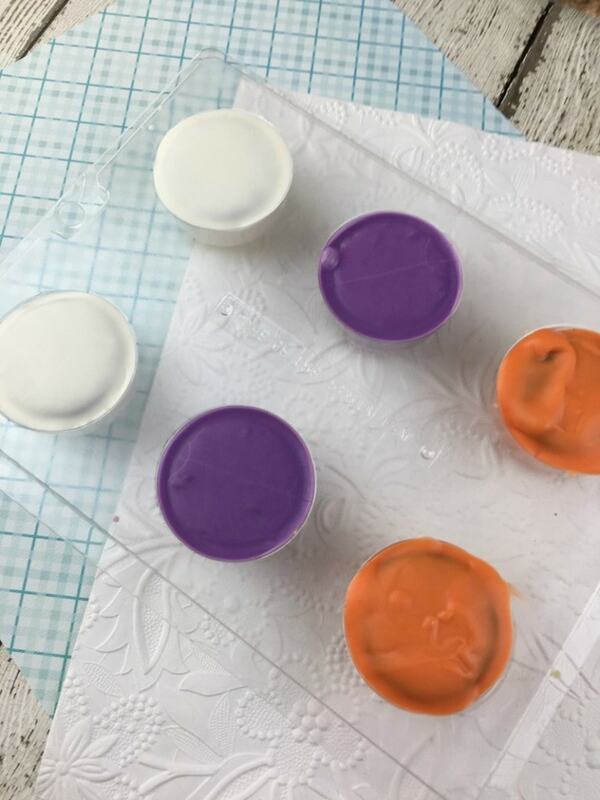 Repeat steps 3-6 using each remaining colors: blue, orange, green, lavender and white. When you are finished, you will have one dozen cookies, 2 of each color. 8. Chill for 30-45 minutes. 9. 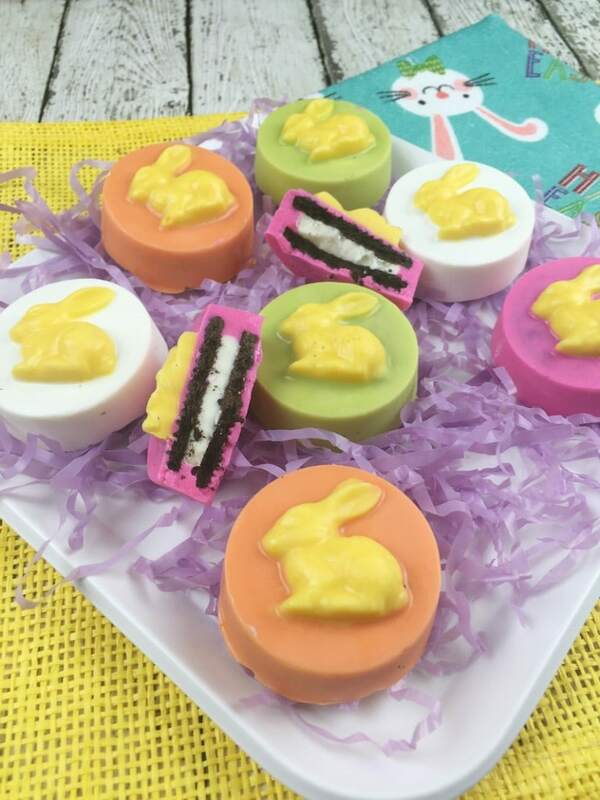 Gently invert mold over a plate or platter and pop each cookie out. They will be released from the mold very easily.